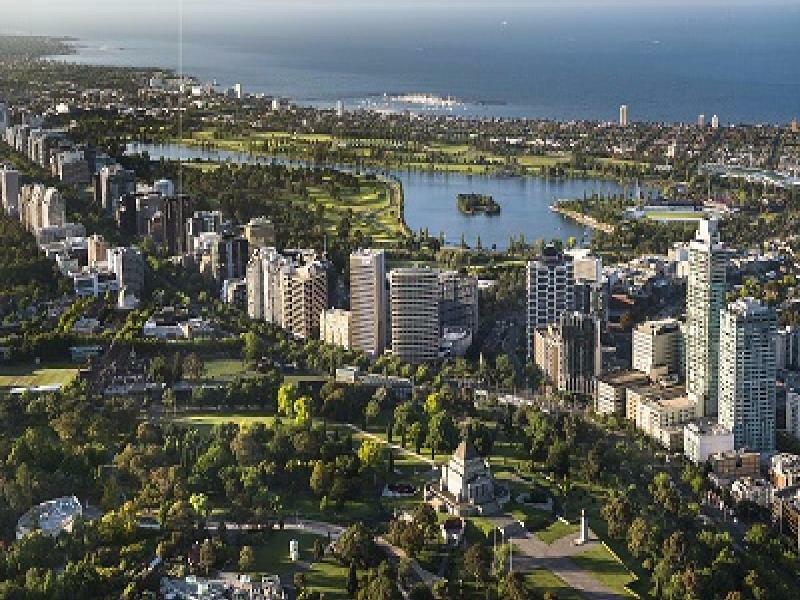 Why invest ON St Kilda ROAD ? 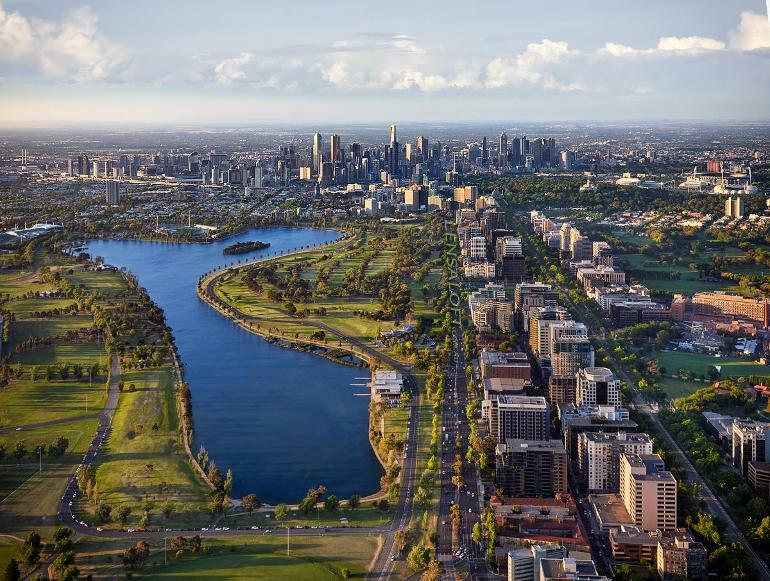 Highest income***: The median family weekly income of those living in St Kilda Road is $$2,545 per week, compared to $2,248 in St Kilda, $$1,446 in Melbourne CBD and $2,230 in Southbank. 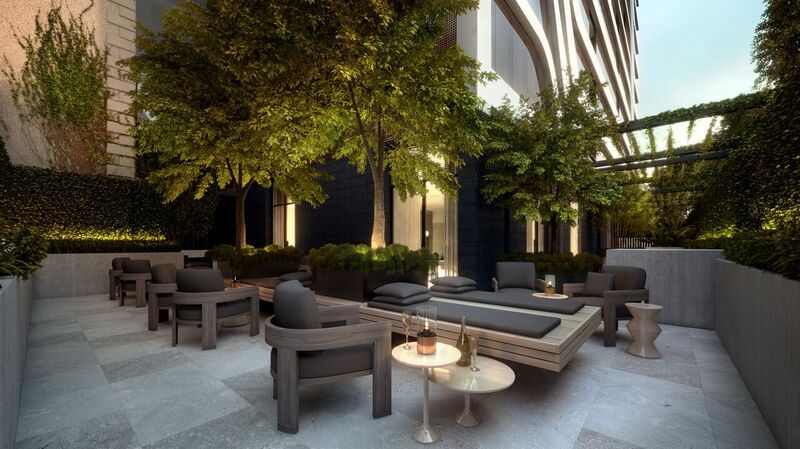 Higher incomes means more ability to pay higher rents! 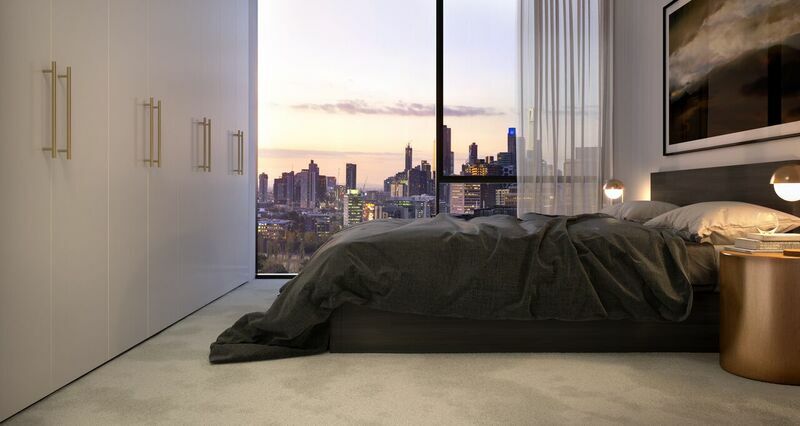 Rentals***: Just 2.7% rental vacancy in St Kilda Road. 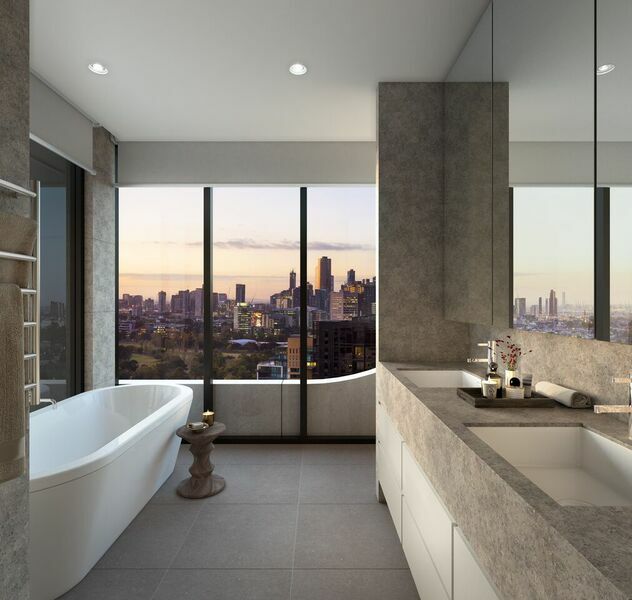 ( compared to 4.9%% in Southbank). 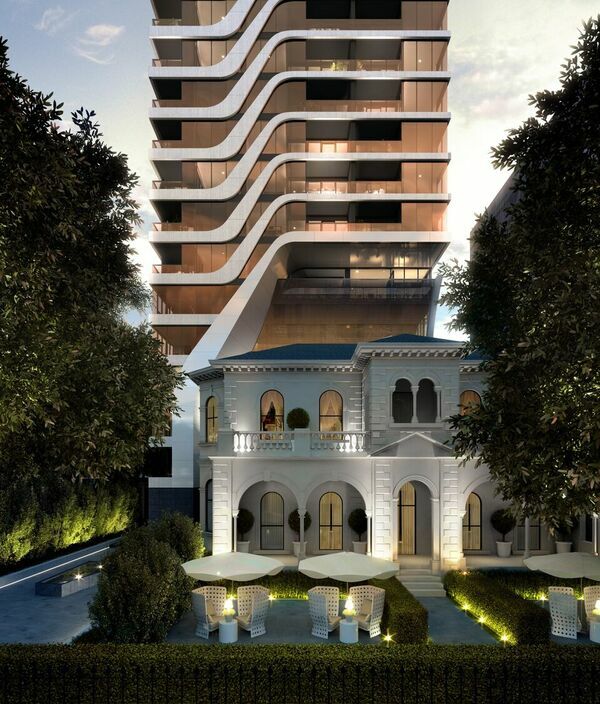 TAKING its inspiration from the heritage listed Victorian era mansion which occupies this location, the building’s grand composition and finely detailed architecture now influence the design of a sophisticated new tower. 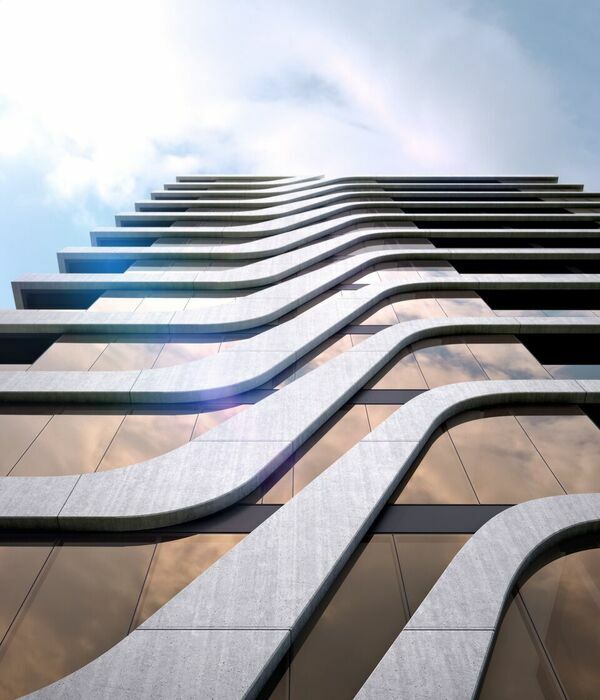 Designed by award winning architect, Rothelowman, the graceful new structure has a clean, pure form, with a series of curved bands around the façade and a terrace for every apartment to fully appreciate this location’s superb views and surroundings. 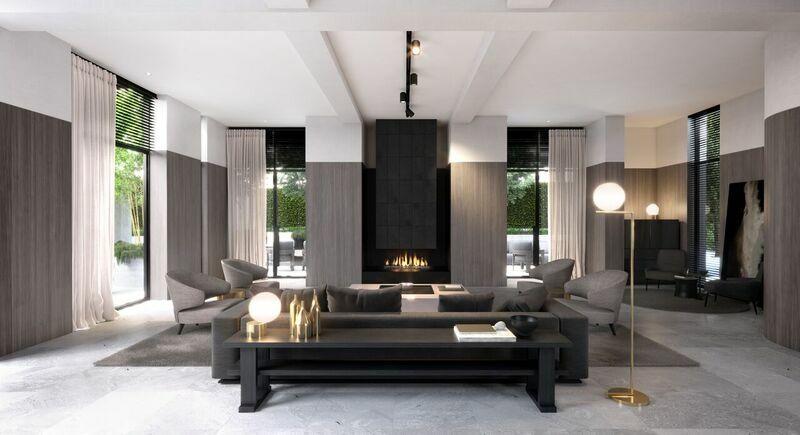 The five star hotel style experience begins at the grand entrance where a Clubhouse concierge is on hand to welcome visitors, take care of deliveries and look after the needs of residents. 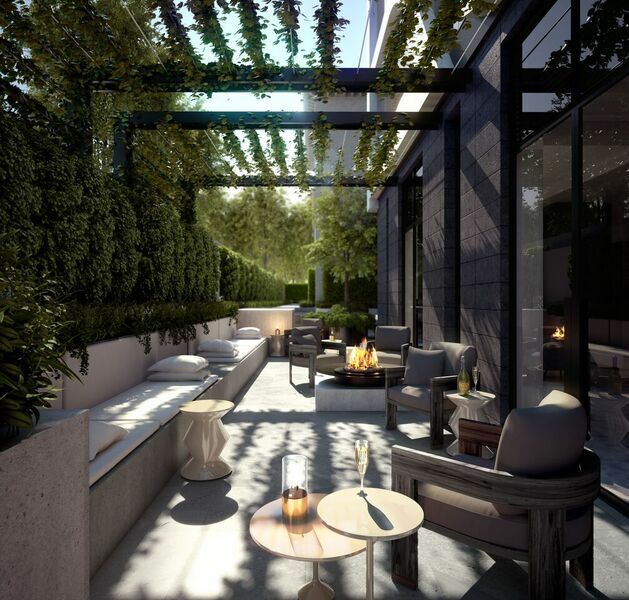 Enjoy private dining with friends and family supported by a gourmet kitchen, laze around the fireplace of the residents lounge or relax in the lush garden of the outdoor terrace. For those quiet moments, the library offers a smart setting to enjoy your favourite read. 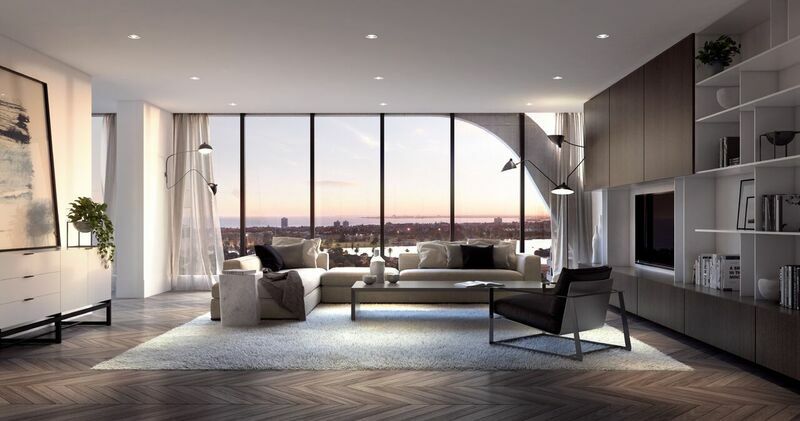 The residences combine traditional, grand living spaces with contemporary interior design, generous floorplans, and careful selection of materials to create a sense of theatre in every home. 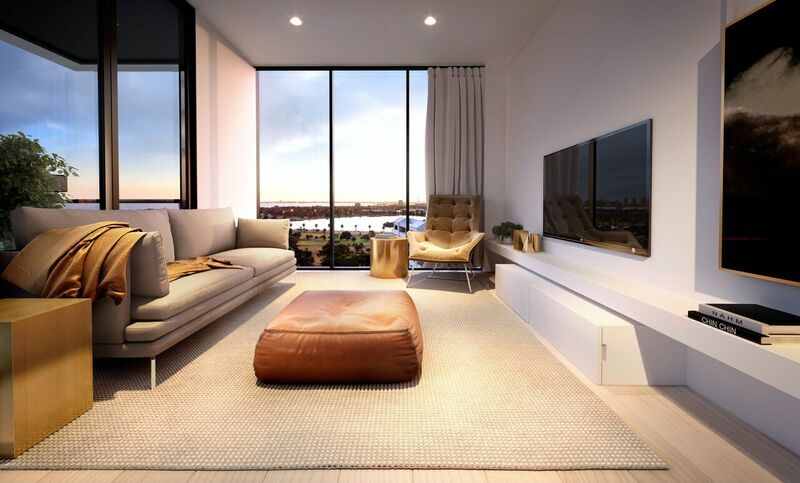 AFTER REGISTERING BELOW, YOU WILL BE REDIRECTED TO ANOTHER PAGE WHERE YOU CAN VIEW THE BROCHURE, FLOOR PLANS, VIEWS AND FINISHES. YOU WILL TRULY NOT BE DISAPPOINTED!